Not surprised at all. 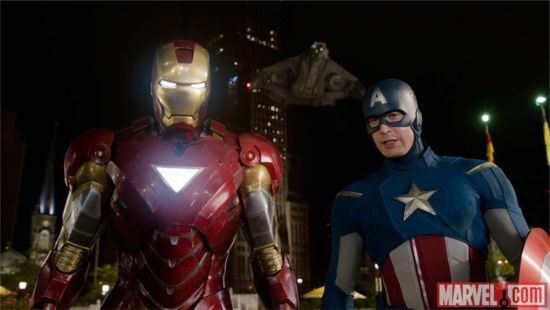 Disney CEO, Bob Iger has just announced that a sequel to the Avengers is currently in development. Well, with the scene after the credits , and its record breaking $700 million dollar gross in under ten days worldwide, we all knew a sequel or three was in the cards. It was just a matter of time. Nothing yet is known at this time on what the film will be about or who will direct or star, but I’d imagine every cast member will be back. It’s a great time to love comics and comic book movies. I would expect to see tons more super hero films to be greenlit in the coming weeks. Come on Warner Bros. Make your JLA announcement. We’re waiting. This entry was posted on Tuesday, May 8th, 2012 at 5:03 pm	and is filed under Comics, Film, News. You can follow any responses to this entry through the RSS 2.0 feed. You can skip to the end and leave a response. Pinging is currently not allowed. « James Cameron Wants to Make 4 ‘Avatar’ Films!! !